Daniel Island Soccer Academy tourney roundup! 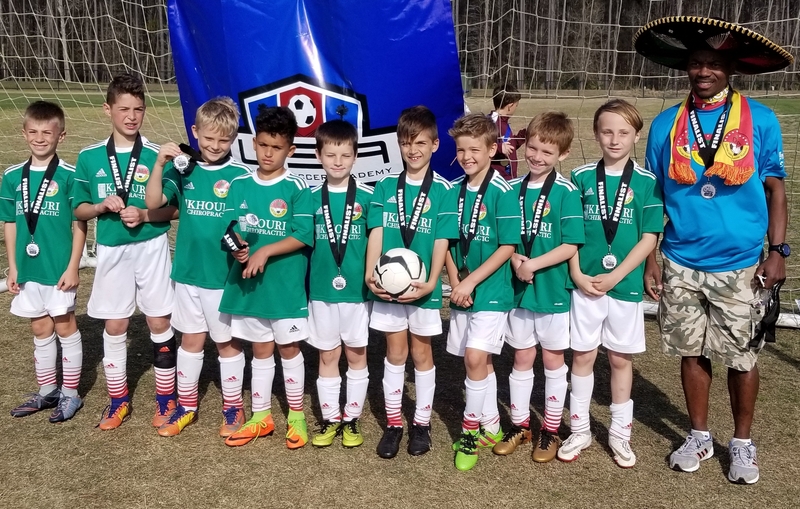 DISA’s U10 Starz were feeling lucky recently as they captured the U10 championship at the St. Patrick’s Day Cup in Columbia. First Row: Maggie Wall and Maryn Baker. Second Row: Emma Pawlucy, Hayden Wamboldt, Laine Easterling, Mikayla Virga, Kate Harris, Braelyn Colvin and Bella Tipple. DISA Coach: Alicia Schuler. 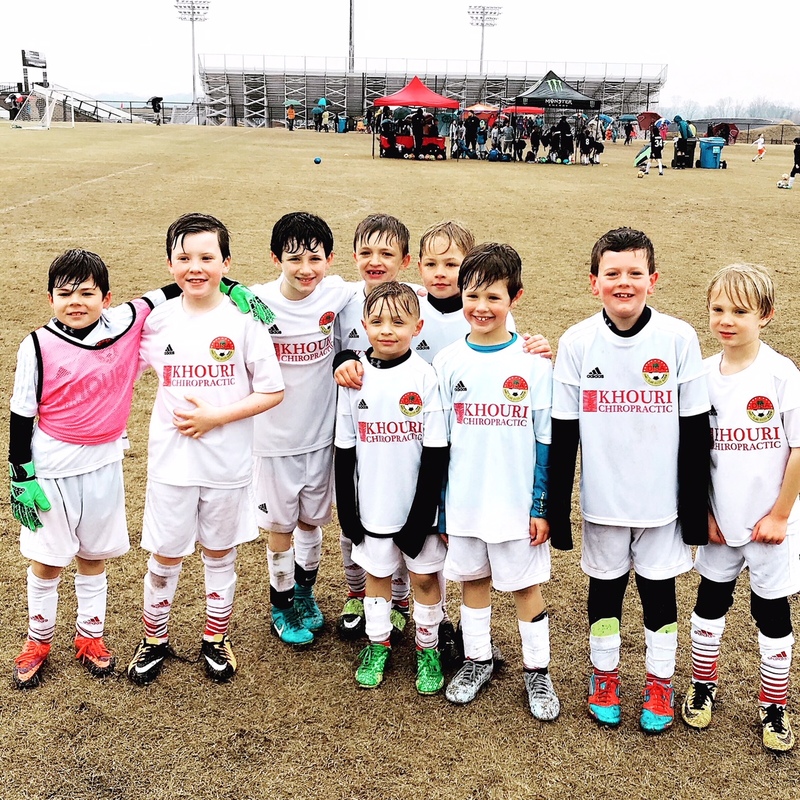 The DISA U9 Tottenhams placed second in the Ray Thompsett Invitational Soccer Tournament in Rock Hill March 10-11. Pictured left to right are Grady Beard, Ben Hoover, Dylan Edwards, RJ Raup, Zak Turner, Ryder Wamboldt, Miles Orvin, Ellis Fetten and Connor Leddy. Not pictured is Coach Erik Cobb. DISA’s U10 Arsenal team was a finalist in the Mount Pleasant Spring Shootout March 17-18. Pictured are Lucas Rizzetto, Sam Pelsnik, Logan Leddy, Gunner Khouri, Thomas Terry, Nate White, Brady Evin, LJ LeVeen, Pierce Johnson and Coach Robert Nosakhare. The DISA U10 Rangers placed first in their division at the Ray Thompsett Invitational. Front row, center: AJ Butterfield. Back row from left to right: Luke Balog, Sullivan Silbiger, Henley Mathews, Palmer Driggers, Arnold Ruiz, Kyle Thaxton, Hugh Mathews, Javier Clemons and Head Coach Justin Barlotta. DISA’s U12 Chelsea team finished first as champions in their division at the Ray Thompsett Invitational Soccer Tournament. Pictured are Gibson Ohlson, Lucas Fetten, Grayson Davis, Andrew Putignano, Ryan Heineck, Owen Terry, Rowan Pennell, Mac Harris, Luke Pawlik, Andrew Rosebrock, Miquel Alomar and Nicholas Pawlucy. Coach: Jonathan Caratella. Not pictured is Jack Pottieger.